The best solution is always a screeded floor. Use 6 mm Superfoil below the mesh, tie the underfloor heating pipes to the mesh with cables ties. Finally use 50 mm fibre screed or 50 mm liquid/anhydrite screed on top of the mesh/pipes. 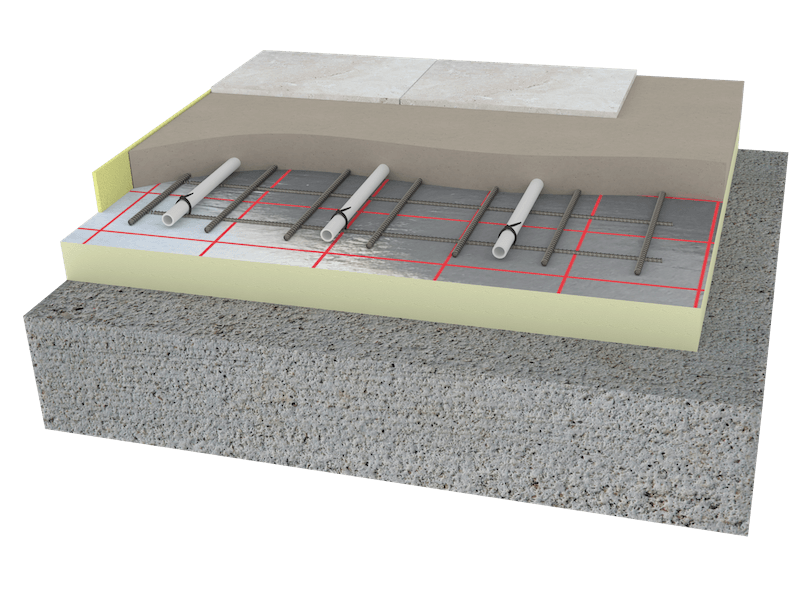 There are a number of board solutions for underfloor heating for existing floors, ie Profoil, Profix, etc, but a screeded floor will always perform the best and give the end user the most effiecient wet underfloor heating system. What system do we use for water underfloor heating?